HMH Books for Young Readers, 9781328512741, 256pp. 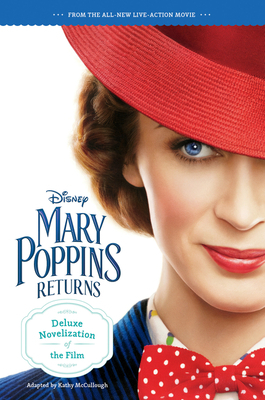 In Disney’s “Mary Poppins Returns,” an all new sequel with a fresh sensibility that celebrates the spirit of the original, Mary Poppins is back to help the next generation of the Banks family find the joy and wonder missing in their lives. This novelization of the film features eight pages of full-color film stills.